Recently, Dr. Andrea Pusic, a Plastic Surgeon at Memorial Sloan-Kettering Cancer Center in New York and Vice-President of WomenforWomen Reconstructive Surgery, sat down to talk with Ines Gioannini, a high school student who had just accompanied Dr. Pusic on her latest surgical mission to Tanzania. The two met to reflect on the experience. Founded by the International Society of Plastic Reconstructive and Aesthetic Surgery (IPRAS), WomenforWomen Reconstructive Surgery is a program supported by female plastic surgeons to help disadvantaged women suffering from disfiguring conditions caused by domestic violence, war and accidents. INES (I): In preparing for our conversation today, it occurred to me that I never asked you how WomenforWomen Reconstructive Surgery was first started. DR PUSIC: The Story of WomenforWomen Reconstructive Surgery began in 2007 when a small team of female plastic surgeons from Germany and the United States set off to work in a remote hospital in Northern India. Their goal was to offer reconstructive surgery to rural women who had been burned in domestic violence attacks. They traveled over long and dangerous roads and faced many challenges, including extreme temperatures and poor operating conditions. They carried with them a strong sense of solidarity among women. This journey was the start of our organization. I: Where do you work? DR PUSIC: Our teams now routinely work in India, Bangladesh, Pakistan, East Africa and Haiti. In each country, the obstacles and opportunities are different. In Bangladesh, where annual flooding in remote areas would destroy traditional hospital buildings, our teams work on floating hospital boats. While this allows us to provide care in the most isolated of areas, it also brings special complexities related to supplies, changing weather conditions and cramped living conditions. In India and Pakistan, where ‘in-law burns’ remain common, our teams look for opportunities to raise awareness about the prevalence of this problem through press conferences and social media. In East Africa where we have partnered with the Aga Khan Organization, we are able to offer surgery to the neediest of patients in very well-equipped, high-functioning operating rooms. In Haiti, we have recently begun to offer reconstructive surgery to breast cancer patients who have had mastectomies. I: On my recent trip with you to Dar Es Salaam, it was shocking to see the number of women and young girls suffering from these horrific burns. 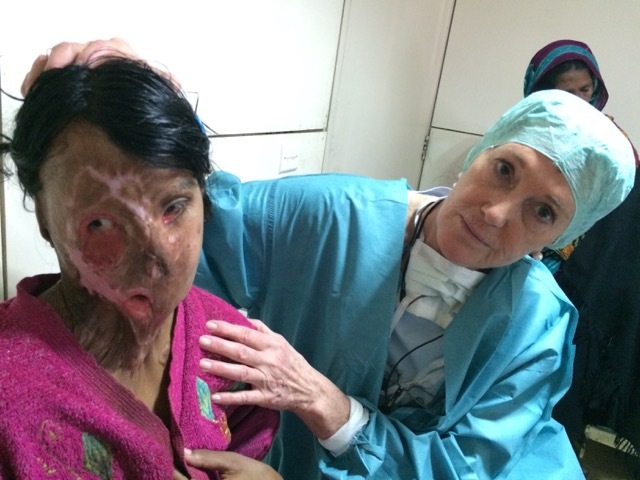 Why is there such an enormous number of burn victims in these developing countries? I read on the United Nations’ Global Database on Violence Against Women that in Tanzania alone, 44% of the women are victims of domestic abuse in their lifetime and that a large number of those are burn victims. DR PUSIC: Women in developing countries frequently suffer injuries, either by accident or assault, which leave them disfigured or unable to physically function. Burns are the most common cause, often through kitchen accidents or domestic violence. Women who survive such injuries may be left terribly disfigured by contracted scars; they may be unable to use their hands, extend their arms or even raise their head from their chest. Some can barely walk, feed themselves or perform basic hygiene without assistance. Burn scars on the face can render a once beautiful woman unrecognizable. I: Many of the women and young girls I met with you live in extreme poverty. Yet even more heartbreaking was the despair and overall feeling of worthlessness they seemed to share. 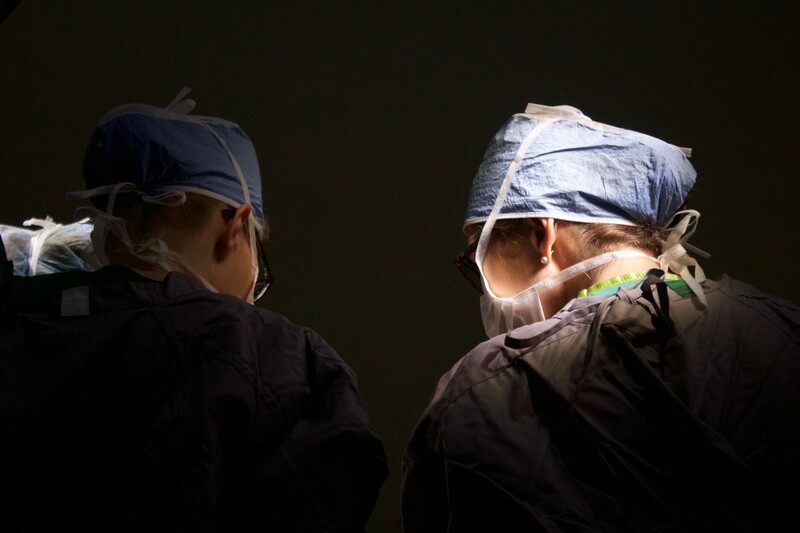 You and the other female surgeons travel so far to care for them, and I could see that this act alone made such a difference in the women and girls’ self-esteem and self worth. You repair their wounds but you also give them this enormous sense of value and hope. DR PUSIC: In these circumstances, injured women are considered a burden to their families and communities. They may thus be abandoned or at a risk of a future assault. In addition to their physical pain, their psychological despair is tremendous. Without access to specialized surgical treatment, they have little reason to hope that their circumstances will ever improve. For young women in particular, the future is a very bleak vision. 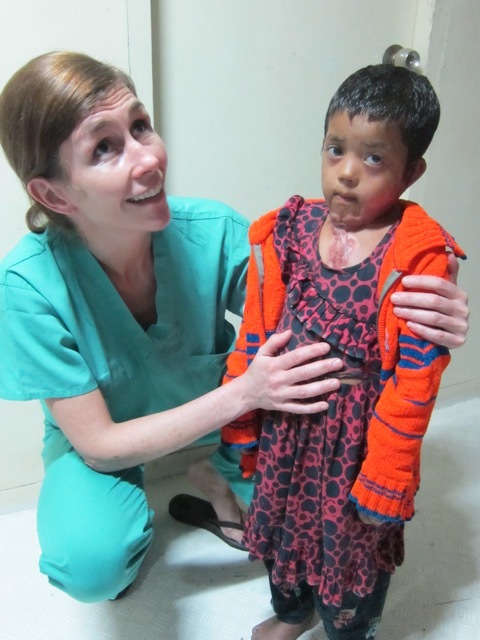 WomenforWomen Reconstructive Surgery aims to provide both care and hope to such women. We offer surgeries that restore physical function and a more normal appearance. Following reconstructive surgery, many women are able to regain their place in society, to care for their children, to find jobs outside the home. I: It was a bit surprising and very impressive to see that you and the other surgeons literally carried suitcases filled with supplies to the mission in Tanzania. How do you work and how is the organization supported? DR PUSIC: As virtually all donations to WomenforWomen go directly to patient care, our surgeons take on a great deal of logistic responsibility for each trip. This ranges from bringing necessary supplies to ensuring the safety of the team. We establish partnerships with local colleagues, health organizations, hospitals and NGO’s and return repeatedly to the same communities to provide continuity of care. With each camp, we also teach local surgeons and residents, with the goal that such care might ultimately be offered in the local community by local doctors. I: It was very empowering for me as a young woman to be able to have witnessed first-hand this “strong sense of solidarity” that you and the other female surgeons of WFW share. Female plastic surgeons are a minority in the specialty and I’d imagine bring a very different perspective. DR PUSIC: Our WomenforWomen teams are generally all female because in the areas of the world where we work, female patients are more likely to seek care when they and their families know that they will only be seen by other women. An important additional benefit of this is the strong sense of kinship and solidarity that develops on each trip. As women, surgeons and patients alike, we recognize each other and the roles in which we live – as mothers, daughters, sisters, friends. I think that being a woman surgeon does provide a different perspective. Speaking beyond even the context of these surgical missions, the fact that more young women are choosing surgical careers is a good thing. Surgery has traditionally been a ‘male world’, with all that that entails. Women are now changing the culture of surgery; we are softening it at its edges in a very positive way. We can be just as technically good, just as disciplined, hardworking and committed, but we see things through a slightly different lens. Our patients also see us differently; to them, we are less the ‘unapproachable surgeon’ and more ‘the lady doctor.’ We are thus sometimes better able to hear, understand and react to our patients’ concerns. As the number of female plastic surgeons increases internationally, I hope that our ranks of WomenforWomen surgeons will continue to grow. I: I was most touched by your response when I asked you if you ever felt overwhelmed by the heaviness of these missions. You told me that “helping an injured woman get her life back helps not only her but also her children, her community” and that this is uplifting, not heavy. DR PUSIC: This is exactly why we go. Helping even just one woman to ‘get her life back’ is always worth the journey. Ines Gioannini is a high school student at the Lycee Francais de New York and recently accompanied Dr. Pusic on a WFW surgical mission in Dar es Salaam, Tanzania. Very good article. Thanks! to sharing the post. Excellent information and insight !! Starting out can be overwhelming . This helps a lot! I will bookmark your website and keep checking for new info about as soon as a week.